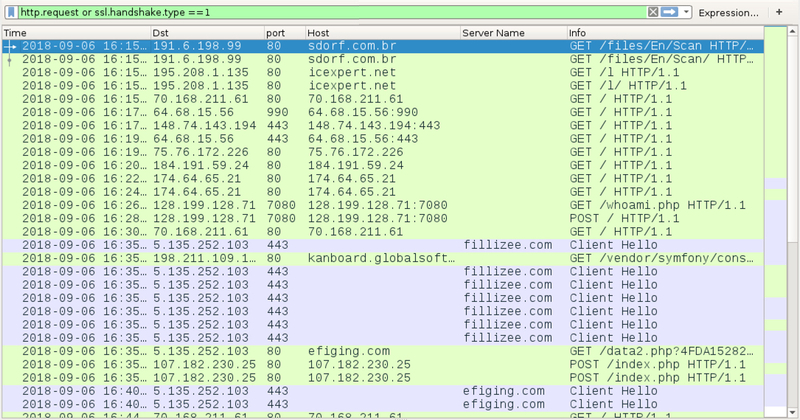 Shown above: Traffic from the Emotet infection filtered in Wireshark. 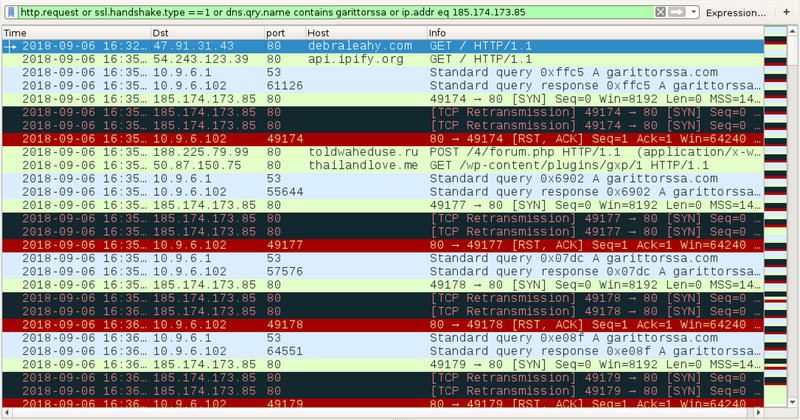 Shown above: Traffic from the Hancitor infection filtered in Wireshark. Shown above: Traffic from the Trickbot infection filtered in Wireshark (spread from client to DC). Shown above: Using Wireshark to export Trickbot malware found in the SMB traffic.